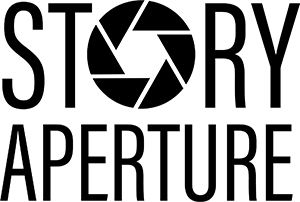 Story Aperture enables people to collect and share the untold and underrepresented stories of Jewish women through mobile technology. Story Aperture, a new project of the Jewish Women’s Archive made possible by the generous support of the Covenant Foundation, enables people of all ages to collect and share the untold and underrepresented stories of Jewish women through mobile technology. Jewish women have long led the field of Jewish education as teachers, administrators, and school directors, but their stories and contributions are not always documented or recognized. JWA wants to capture the triumphs, struggles, and stories of the women who play a key role in shaping Jewish education. The Jewish community is diverse, and all Jews hold many different identities. On Purim we celebrate Queen Esther, a Jewish Woman of Color who risked everything for her people—and these stories matter to us all year long. Share your story as a Jewish Women of Color, Indigenous, Mizrahi, or Sephardi woman, or invite someone you admire to #ShareHerStory. Together, we can make history more inclusive. Add your #MeToo story to JWA’s archival collection to ensure that the breadth of Jewish voices and experiences is captured and preserved during this watershed moment. Together, our stories illustrate the systems and structures that shape women’s experiences—and our collective power to make change. Storytelling is central to the celebration of many Jewish holidays. By telling and preserving our individual and communal stories, we strengthen our connection to each other, to our traditions, and to our legacies. Join JWA this holiday season in creating a more inclusive, inspiring story by interviewing an important Jewish woman in your life. History is unfolding every day, and we are part of it. The actions we take — both collectively and individually — tell a story, unique to our time and place. Help us create a more nuanced and reflective understanding of the ways in which Jewish women harness the tools of democracy to make change by sharing your story— of civic engagement, advocacy, protest, or social change — with us. Want to interview a Jewish woman in your life, but not sure where to begin? JWA created a list of 20 questions (more, if you’re counting!) to help you get started. In Our Own Voices, published in 2005, is a how-to guide for conducting life history interviews with American Jewish women. This comprehensive resource and workbook includes introductory essays by leading scholars of Jewish women’s history, frameworks for understanding the multiple and intersecting spheres of women’s lives, and hundreds of sample questions to choose from.